I definitely can’t say that I’ve had more of whirlwind month than August. I started the month living at Fort Benning, Georgia and ended the month living in El Paso, Texas. 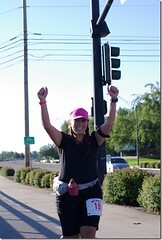 Total Running Mileage: 21.50 glorious miles ran! Favorite Runs of the Month: It’s crazy to think that my top three runs this month all ended up happening in three different states! 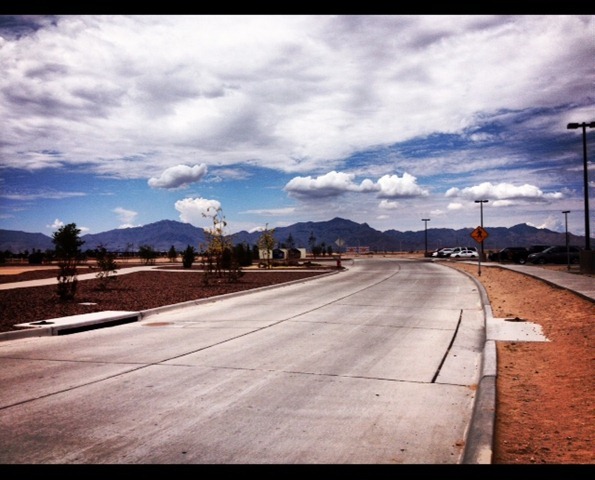 Finding this gem of a running route, El Paso Scenic Drive Park in El Paso, Texas. 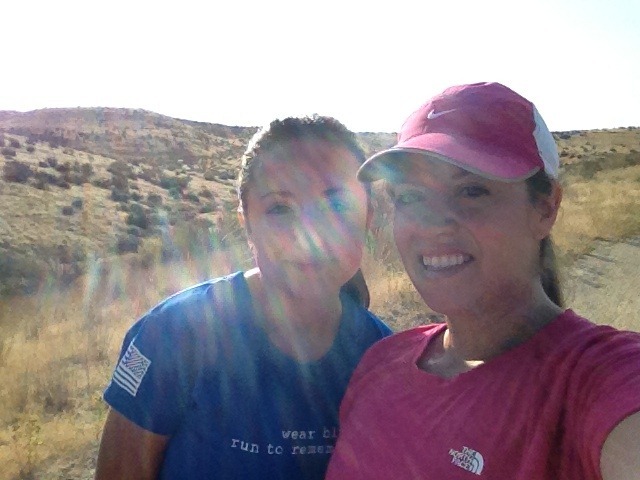 And let’s not forget my awesome run with Cynthia in the foothills in Boise, Idaho. Biggest Accomplishment of the Month: Putting in the contract to buy our first house. By the end of the month we’ll be first time home owners! Excursion of the Month: The (mini-vacation)move from Georgia to Texas! 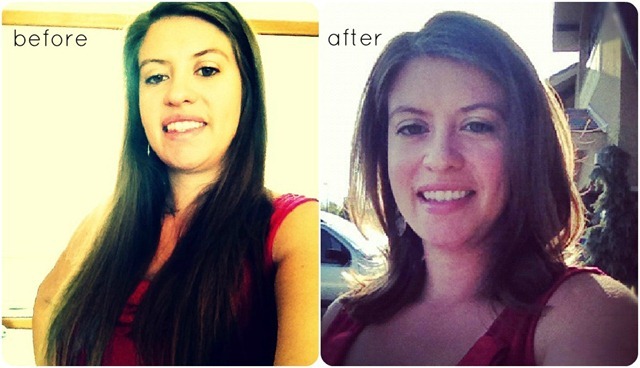 A little change needed this month: I chopped my hair!! August was a crazy yet awesome month! It was hard to pack up my life into boxes yet again, and say goodbye to my friends and home in Georgia and make the move across the country. But it’s also an exciting feeling to start over again and have a whole new experience in the South West. From the little I’ve seen so far in El Paso, I’ve really enjoyed it! I’m excited for the adventures to come! We should be stationed here for roughly 3 years, so we definitely have time to get settled before the army moves us again. Happy September and I hope y’all had a great Labor day! We actually took a little impromptu road trip to Jackpot, Nevada with my family for a gambling adventure. I lost more than won, but it was still a fun trip with the fam! And today I’m catching a flight back to Texas to resume army wife life as normal. 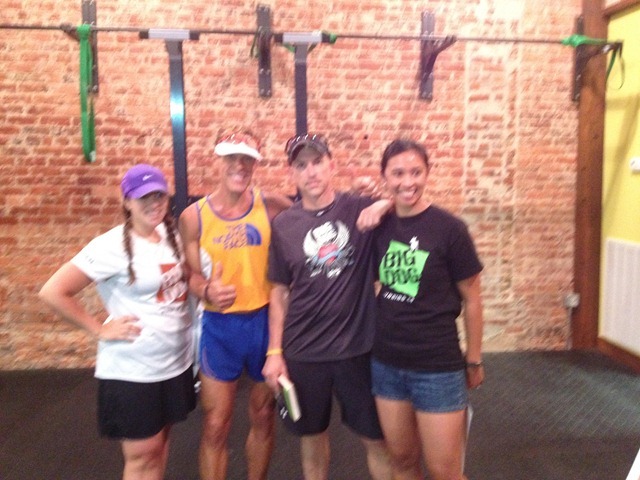 As you all know, I had the wonderful opportunity to meet and run with Dean Karnazes, “The Ultramarathon Man” a few weeks ago. Boy am I excited to tell you, that YOU may also have a chance to meet him and other amazing athletes too! I’m super excited to announce today that I was asked by North Face to blog about the upcoming North Face Endurance Challenge October 13-14, 2012 in Atlanta, Georgia. This race weekend is sure to be an unforgettable experience, complete with an opportunity to meet and get a photo with Dean Karnazes on Saturday after the race. 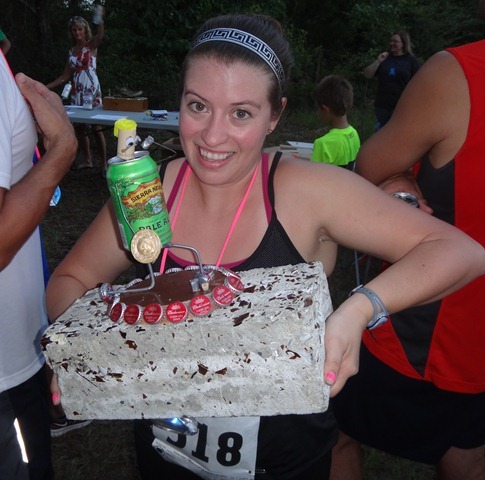 This weekend of races includes a 5k, 10k, half marathon, full marathon, 50k or 50 miler option on an amazing course. If you like trails and hills, then this is great challenge for you. Click HERE for more details about the race. Check out this video to see for yourself what The North Face Endurance is all about! 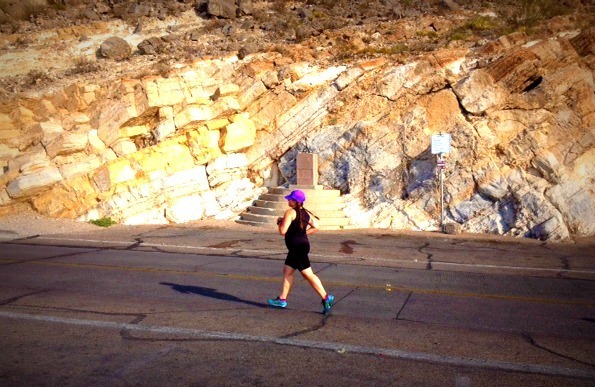 When I was asked to blog about this race, I was also given the chance to run in the race. As much as I would love to take on this challenge, my recent move to Texas is making training for an epic race like this a little bit harder. That and the fact that we should be closing on our home and moving around the time of the race. So I decided that I would like to go ahead and pass this opportunity onto someone else. Lucky YOU! This event is going to be an amazing experience, and from what I saw when I met Dean, North Face knows how to throw a great event! So if you have any desire to push yourself to a new limit, or just want to give yourself a challenge, I would like to encourage you to enter my giveaway to The North Face Endurance Challenge in Atlanta, GA. So there you go runner friends, you have several chances to win! The winner will receive a promotion code good for one individual entry into one of the races at the North Face Endurance Challenge in Atlanta, GA on October 13-14, 2012. Contest ends Tuesday, August 28th at noon (MST). Happy Running and good luck!! I just wanted you all to know how much we appreciated your well wishes last week on finding a home. I’m happy to say we are no longer living out of an extended stay hotel! Once we arrived here in El Paso last week, we immediately felt at home. I’m guessing it had something to do with the dryer air, the addition of Jack in Boxes/the absence of Waffle Houses everywhere, and the sight of these beautiful mountains! Once we did our little happy dance over the fact that we weren’t living in humidity, we immediately hit the road to hunt for houses. 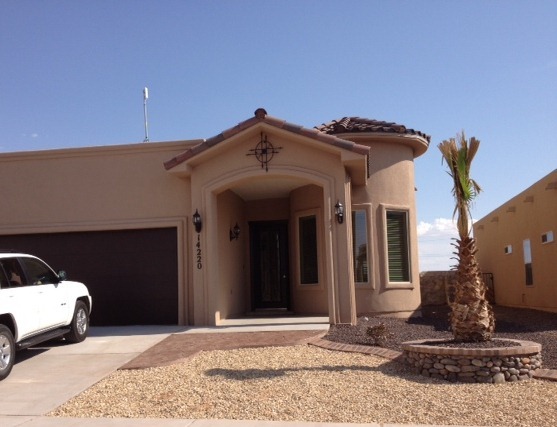 Due to a long waiting list for homes on Fort Bliss and the lack of decent rentals here we opted to check out the homes for sale instead. Yup, we went house shopping! 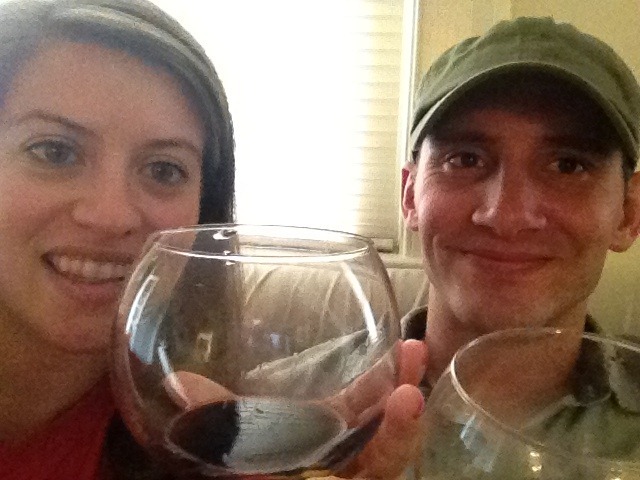 After two days of looking at newly built homes and re-sell homes we finally agreed on one that will be perfect for us. We put in the contract and now we wait until everything closes! This is not the house we picked, but definitely one of my favs. We are buying our first home! I can’t even believe it. 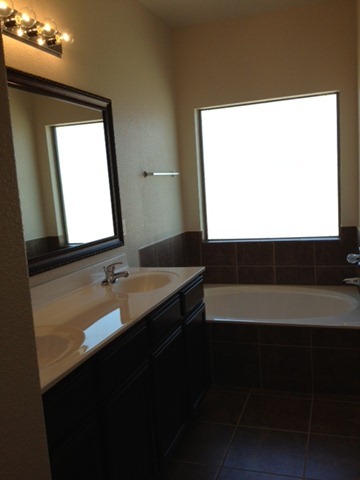 Here is a sneak peak at the master bathroom in our new house. 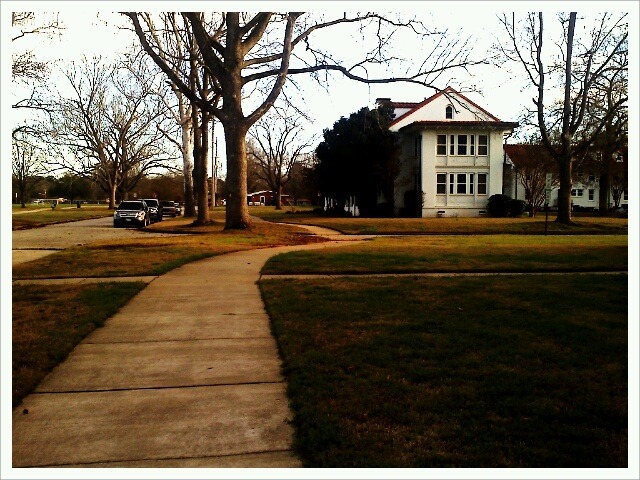 One of the only pictures I managed to snap during our epic house hunting adventure. 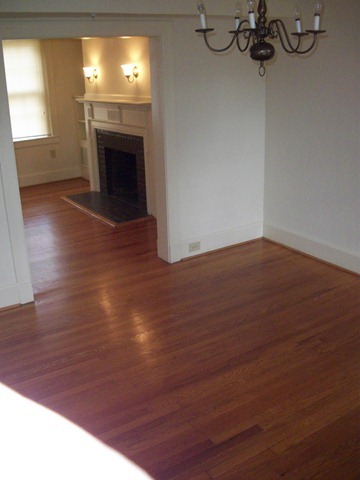 As we sit and wait for at least 45 days until closing, we found ourselves a cute little furnished apartment that offers a short term lease. We are literally camping in our own temporary home now. 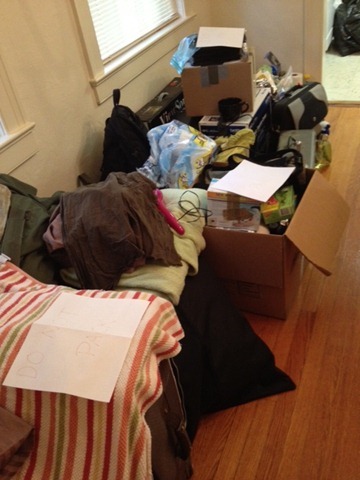 We have whatever items we managed to fit in our cars (just the basics: bed sheets, pillows, one pan, two spatulas, 2 mugs, a coffee pot, three towels) as the rest of our stuff stays in storage until we move into our real house. I have quite the week of exciting things happening over here. Check back tomorrow for a sweet giveaway you won’t want to miss! 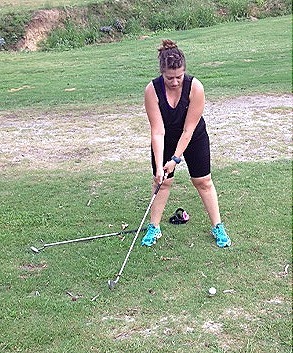 A few weeks ago my blog friend Katie over at Legally Fit wrote a lovely post about what she loves about the South. 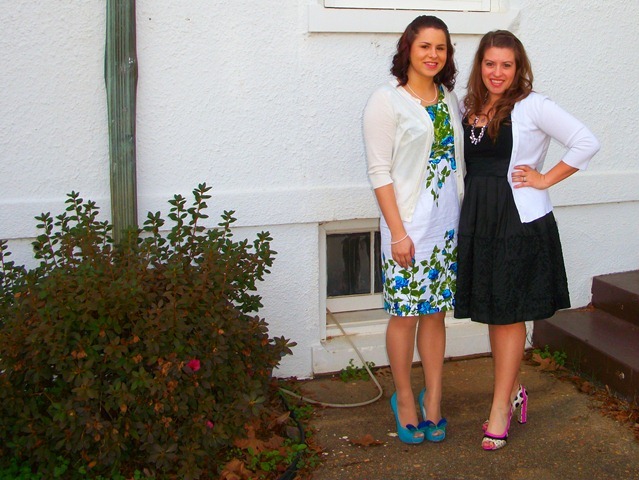 It got me thinking about what I have loved (and thought I would love) about my experience living in the south. Having grown up in the Northwest (Idaho) I really didn’t know what to expect when we first moved to Georgia. 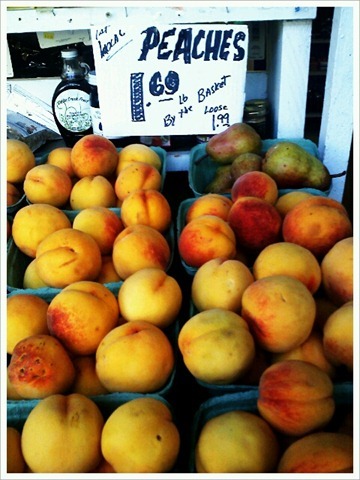 I was hoping that peaches would be abundant, and that I wouldn’t die from the humidity. That’s really all I knew about southern living.. that and whatever they show in the movies. 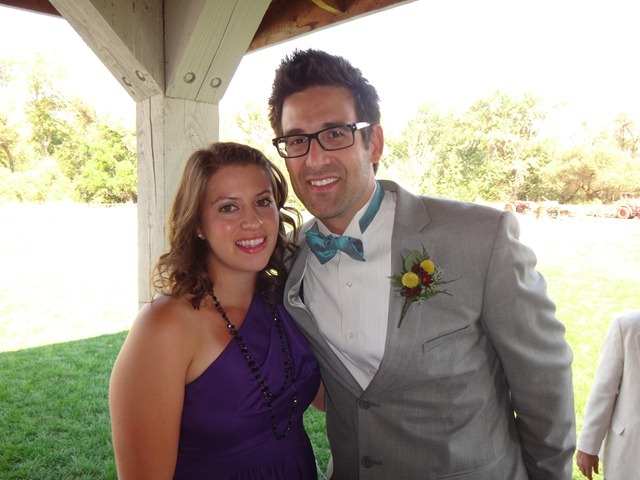 There were a few things that I have come to love and will honestly miss…. 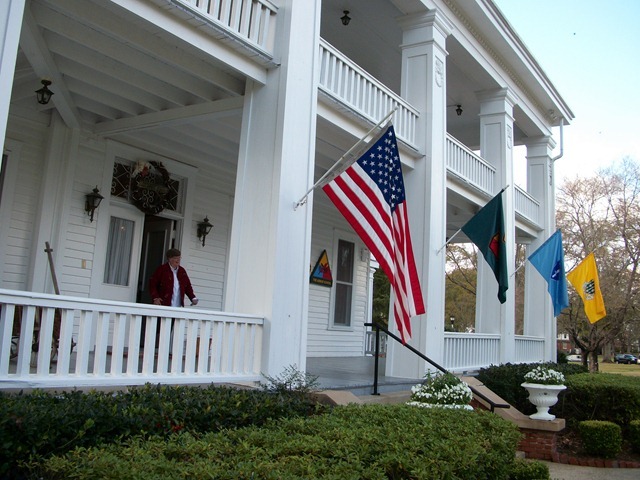 We have been over the moon about our little home on the army base. They call these buildings “the white elephants”, and were supposedly built in the 1930’s. I love the historic aesthetic the buildings in the south bring. Every day I would drive the 10 miles to work and just take in all the lush greenery around me. It rains a lot here, which in return makes everything so green. Enough said! We’ve had our fair share of not so delish deep fried southern food, but we did manage to find a place that serves it up right. 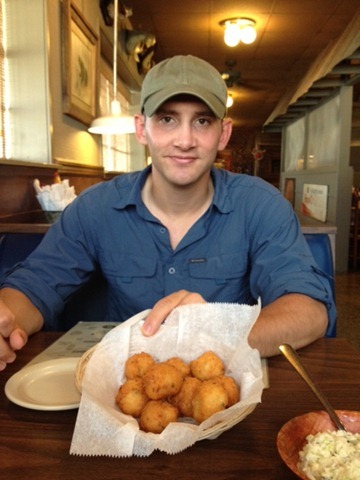 Ezell’s Catfish Cabin in Columbus, GA. Collard greens, coleslaw, and hush puppies to die for! Yeah, I may complain about the humidity but this photo was taken on February 12th, and I remember feeling really hot in my cardigan. So at least I can appreciate the warm winter that comes with the scorching summer. No matter where we were or what were doing the people down here were more than welcoming, and just nice! 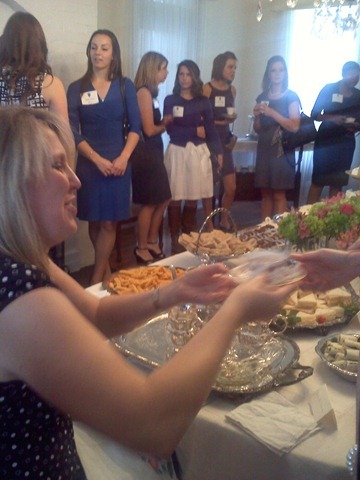 There really is something to be said about good southern hospitality. I was seriously hoping that I would at least pick up a natural usage of the word y’all while I was down here. I love it when people say the word, but still haven’t quite figured out how to use it without sounding like a “yankee”. Which I’ve been called a time or two down here. I know it sounds dumb to like a grocery store, but every time I went in one I was just so happy to be there. Maybe it reminded me of our Albertson’s back in Idaho, or maybe it was just that much nicer than the commissary. Either way, Publix you will be missed! Yeah, they’re pretty amazing! Even though we almost missed Peach season. Apparently it runs from Mid May – Early Aug. I lived here for 7 months before I could even try a real Georgia peach! A few things I really thought I’d love about living in the south that I know I won’t really miss. Sweet Tea – I know, I know I really tried to like it but it just didn’t do it for me! Too sweet for this western girl. Living in College Football Country – It’s either Auburn Tiger town or Georgia Bull Dog country around these parts. 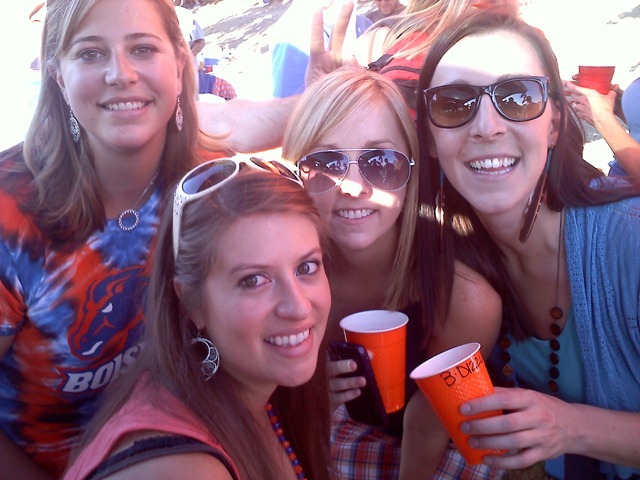 They don’t take well to Boise State Bronco’s, let me tell ya! And a few things I will not miss. Like at all. EVER! Cockroaches – Barf! Need I say more? Humidity – I didn’t say heat, I know it’s h-o-t in Texas, but I’ll take my heat dry any day friends. Any day! Tornados – I’m not even sure how we made it through Tornado Watch 2012 without a panic attack. We don’t have tornados back home, so this was definitely an experience! (after typing this I realize that there are probably still a chance for tornados in Texas, but either way I wouldn’t miss them if I never had to experience it again, just sayin’). So there you have it y’all! <— See, what I mean? Awkward just awkward! A few of my favs and not so favs of living in the South. **What’s something you love about where you live? What I’m currently loving about El Paso is the abundance of Mexican food. Good Mexican food. There was a serious lacking in Georgia. 4 days, roughly 1613 miles, 2 time zones, 1 cracked windshield, and 1 flat tire later…we finally made it to El Paso, Texas. Yee haw! It’s crazy to believe the activities we crammed in over our four day drive to El Paso. 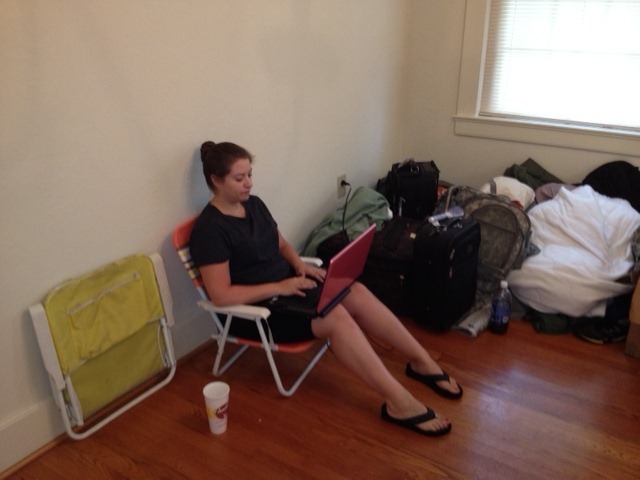 I was determined to make our move across the country a mini-vacation [which is probably why it took so long]. We loved the cute little private beach, lots of fru-fru drinks on the menu, and the cute little boardwalk to a floating restaurant in the middle of the bay. Don’t let all the beachy photos fool you, it rained almost the entire time we were there. The sun came out right as we were checking out so we snuck in a quick walk on the beach. 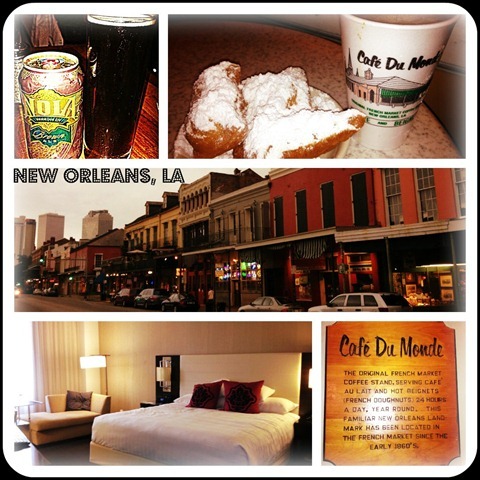 We loved that our swanky hotel had a to-die-for restaurant within called Borgne, and that is sat only a few blocks away from the French Quarter. And although we didn’t have much time to play tourist here we did manage to hit up the infamous Cafe du Monde for breakfast. We’ll have to come back for a more wild adventure next time. 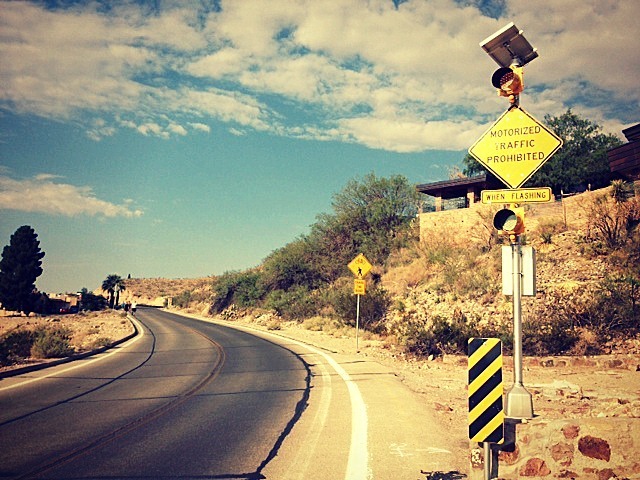 Oh my goodness…as soon as we drove into SA I wished we could stay forever. This place had such a fun vibe! 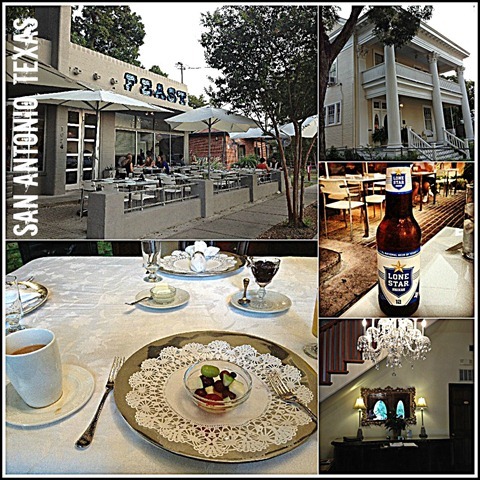 We scored on a sweet deal on a precious B&B which sat only about a mile from the Riverwalk. We hit up an amazing restaurant called FEAST which was fresh and hip. Afterwards we went to a dueling piano bar, Howl at the Moon to visit an old friend who happens to be one of the entertainers there. I could go on and on about San Antonio. 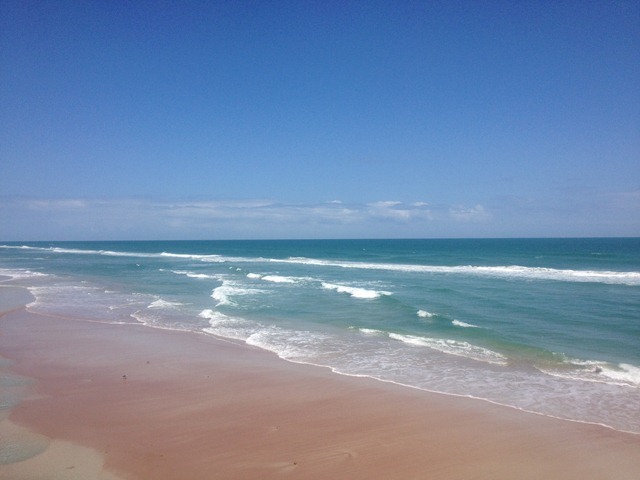 I am so happy that it’s only a 9 hour drive away, because I must go back. I didn’t take nearly enough photos to capture our awesome stay there. We arrived into town late last night and are just trying to get our bearings around here. 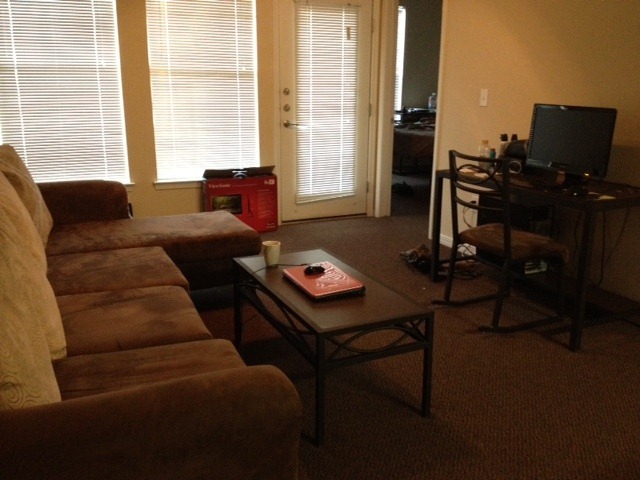 We are going to be busy the next few days looking for a place to live…wish us luck! 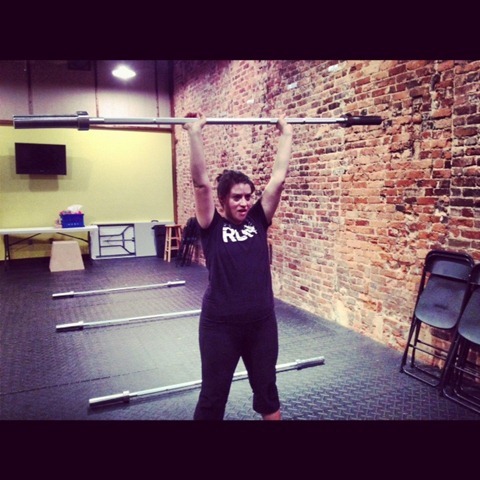 In the meantime, I’ve already scoped out a sweet CrossFit gym. Ha ha…priorities right? This photo kind of brings a whole new meaning to the words ‘home office’. Hey your office is wherever your computer and your internet connection are, right? You can tell I was taking my supervising the movers job very seriously. Actually I was trying to take advantage of the last few moments of non-moving activities. Our next task is trying to conquer this tetris puzzle. Yup, somehow all of this is supposed to fit into two cars. It’s going to be fun to see how that works out! And then we get to clean, clean, clean. Isn’t that usually the worst part of moving? I’m thinking trying to live out of three different suitcases for the next few weeks might be worse. But the upside is that we are going to squeeze as much vacation into our drive to Texas as possible. 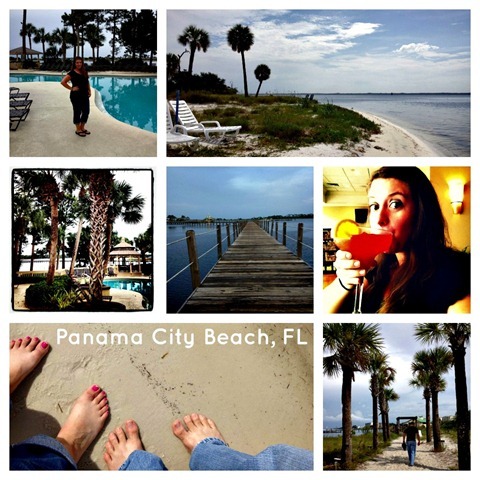 Our first stop is Panama City, Florida! So the faster I clean our house, the faster I can stick my little toesies into the water! We will hit the dusty road tomorrow morning for our road trip toward Texas. I wasn’t even sure where to start with my July review as it was such a crazy, fun and awesome month! Did it really have to end? 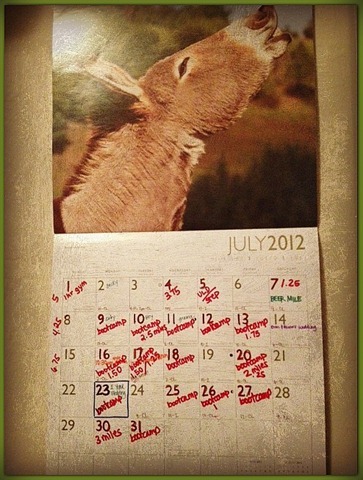 Well maybe I’m a little hesitant to end July because of all the unknown with our August move. Oh well, bring on the next adventure. 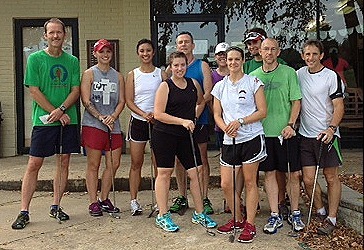 Total Running Mileage: 20 magnificent miles. 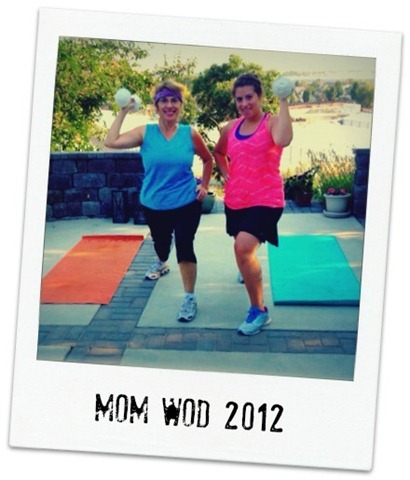 15 hours of boot camp & CrossFit style workouts! 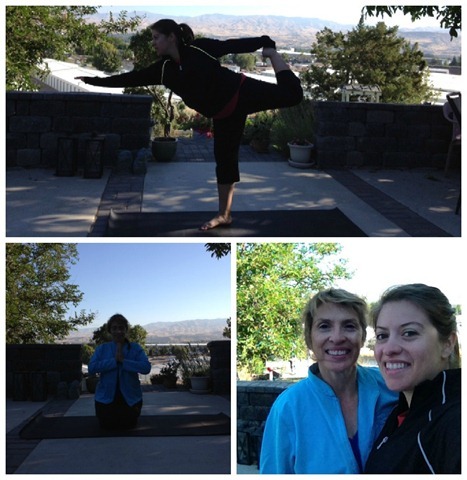 Read about my experience after two months of boot camp here. 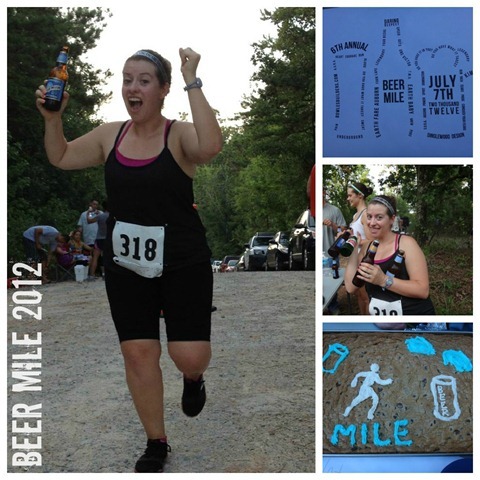 4 beers + 4 quarter mile sprints (as fast as you can) = the craziest race ever! It’s my first ever running related prize. I won last place and it got me this heavy glass laden brick and a trophy! 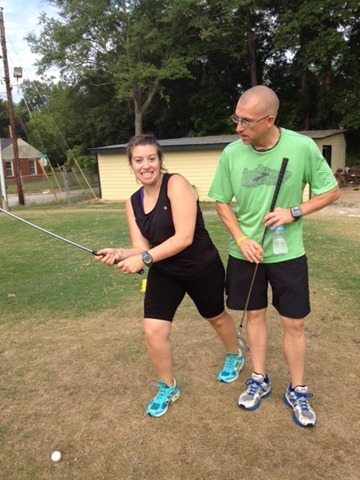 Most fun work-related activity of the month: Speed Golf! 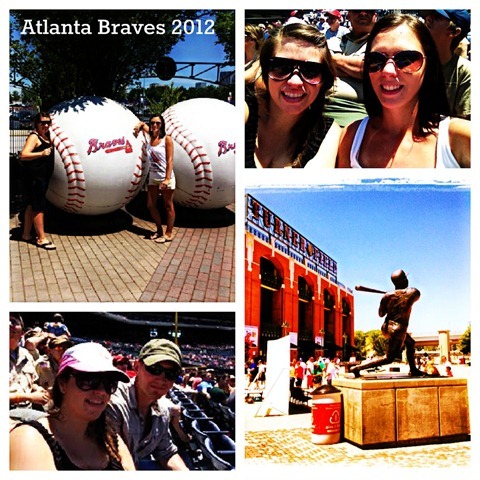 Excursion of the Month: Hittin’ up an Atlanta Braves game! 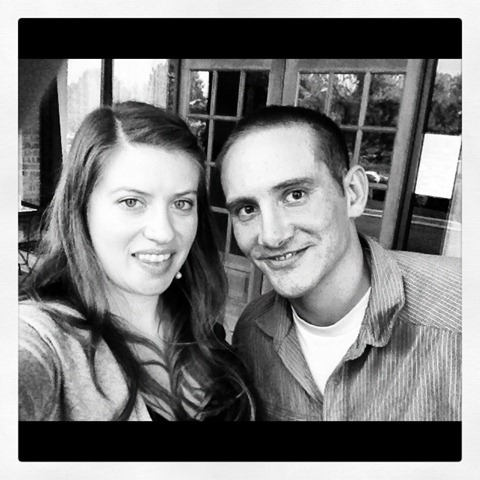 Favorite date with the hubs: Celebrating our ONE YEAR wedding anniversary! CHEERS!! 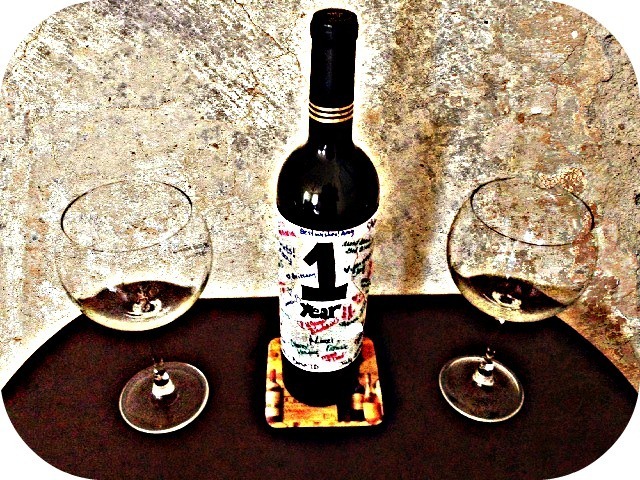 We opened our special ‘one year wine’ and enjoyed a nice fancy dinner. It was perfect! 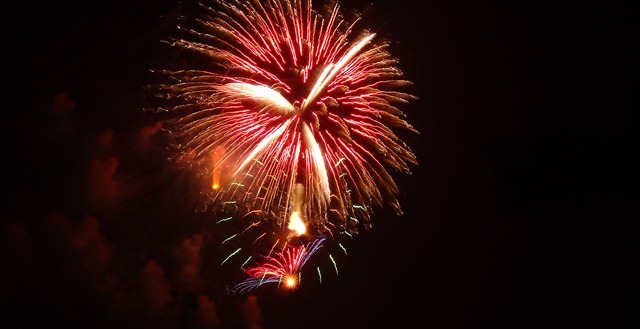 And let’s not forget my favorite firework picture of the month: Taken with my brand new camera! I’m getting sad to close a chapter on my boot camp experience and with all the friends I’ve made in Columbus, Georgia but I’m appreciative for the opportunities I’ve had. This past month was by far the most exciting month I’ve had here, and for that I guess I’m happy to leave on such a positive note. 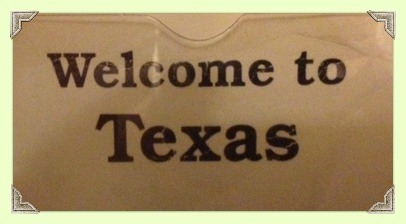 Moving starts Monday, and by the following week I’ll be blogging from the Lone star state. I can’t even believe it! But don’t worry…I have a few more things planned before I leave. 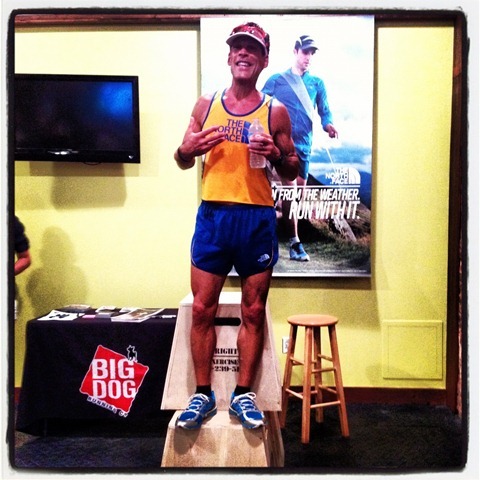 For all my runners out there…my last day at the running store involves me running with the Ultramarathon Man himself. 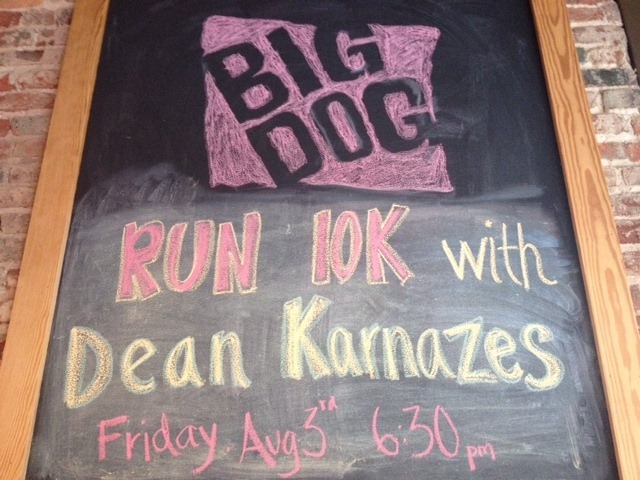 Dean Karnazes (best known for running 50 marathon in 50 states in 50 days) will be at our store this friday. What a way to celebrate my last day huh? Happy August my friends! Things might be a little all over the place the next few weeks with moving and house hunting etc.., but I’ll keep checking in with you when I can.